What actually are kidney stones? Kidney stones are very common, so you may have heard of them from people you know or on TV. But you may be wondering, what exactly are they, and how would I know if I have kidney stones? Kidney stones, also called “renal lithiasis” or “urolithiasis”, are hard deposits made of salts and minerals that form inside the kidneys and painfully block part of your urinary tract. The kidneys are a major filter and electrolyte regulator for the body. They remove waste products from the bloodstream, leaving your body with what is needed to function and removing any unneeded salts and minerals. The waste products filtered by the kidneys become part of your urine, which travels from the kidney through a tube called the ureter, into the bladder and then out of your body as you pee. In some people, some of the unneeded salts and minerals (like calcium) stick together and crystallize or harden in the urine, forming a kidney stone. These stones start out to be very tiny— smaller than a grain of sand— but can grow as more waste chemicals attach, reaching the size of small pebbles. As kidney stones get bigger, it is harder for them to pass through the ureter to get to the bladder and out of the body. The stones get stuck in the urinary tract. When a kidney stone gets stuck in the ureter, it can act like a dam, blocking the flow of urine from the kidneys to the bladder. Since less urine is able to pass through the ureter tube, the urine builds up between the kidney and the stone as more urine is produced in the kidney. This increases the pressure in the urinary tract, leading to swelling of the kidney and often severe pain. Most people with kidney stones experience severe pain in their side and their back, below the ribs. The pain may move to the lower abdomen or groin and may come in waves and vary in its intensity. As the kidney stone moves through the urinary tract, the location and amount of pain may change. With kidney stones, it is common to have urinary problems such as pain while urinating, cloudy or foul-smelling urine, discolored urine (pink, red, or brown), frequent urination, a persistent need to urinate, and urinating only small amounts. Some may feel nauseous or vomit, and if an infection has developed, people with kidney stones may experience fever or chills. What happens to kidney stones? Most kidney stones get passed out of the body on their own. 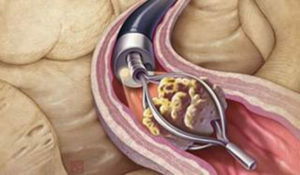 While the buildup of pressure behind the stone causes pain in many people, the pressure also can help to dislodge the stone and move it down the ureter into the bladder, and then out of the body. To pass kidney stones on their own, some people with kidney stones need no more than to take pain medication and drink a lot of water to pass the stone on their own. In some cases, the stone does not get moved on its own, and medical attention may be required to help remove the stone. Medical procedures or surgery may be needed. A urologist can help you with this. 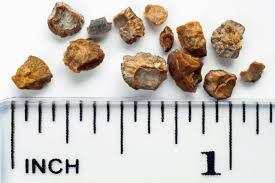 Although they are painful, kidney stones usually do not cause any permanent damage. If you suspect that you have a kidney stone or that you may have them in the future, a doctor can help you understand what your options are. Contact us today to schedule an appointment with the best urologist in NYC.